Maldives has recovered from its slowdown and the economy is growing faster than ever. The country has seen enormous improvements in the GDP Per Capita in the last 03 years amid the fall in the rate of tourism sector growth in the fiscal year 2015. The government, for the first time in its kind, has announced on the budget day that there will be a shift in government spending from recurrent expenditure to capital expenditure. It basically means that the country will be spending more on infrastructure such as road development, water and sanitation, habour dredging, human capital development etc. 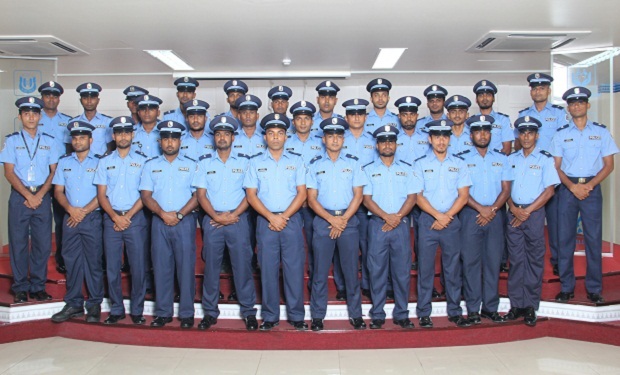 It was surprising to see the local news papers reporting that the Maldives Police Service is to raise certain allowances of their officers. No news outlet has provided necessary details of such a move. It is believed that the MPS Pay Rise is a hoax. 1. Government has announced previously that there was a Pay Commission set up and they are revising the pay scales. The revision is not for a single body but covers all state employees. The Pay Commission has not yet completed their work and hence a pay rise for a specific body is highly unlikely. 2. Media reports did not disclose proper details of the new salary framework of MPS. It is believed that the pay rise is in discussion stage but their is no approved framework yet. 3. MPS is a strong body in ensuring home security. Therefore, a pay rise will not be announced in such a way that we have seen it today. Such a big move will only be announced by the government. 4. Ministry of Finance and Treasury is responsible for the management of public funds and the national budget. Until today, we are not aware of the approval of the so-called New Framework giving a pay rise to MPS officers.